The success of our cities has become central to national economies and culture. They drive investment, tourism and migration – the young, the educated, the creative and the rich are being drawn to live and work in urban areas once again. As we have seen with Aarhus, Marseille and Rotterdam, the transformation of mid-level non-capitals is providing space for new ideas, enterprise, investment and even building types. But can growth and expansion provide an economy and wellbeing whilst also retaining a distinctive identity? Where better to explore this than in Cork, Ireland’s great maritime city on the Atlantic rim of Europe. Once the staging post for European emigration to the US, it now sees people and investment flow in the other direction. Check out or revisit Richard Florida’s keynote speech on what he believes is The New Urban Crisis. Don’t miss Monocle’s episode reporting from Congress 2018. Featuring interviews with Richard Florida, Regitze Marianne Haas, David Rudlin AoU and Jeffrey Tumlin. Take a look at the brilliant photos of the entire event captured by Place Images. Read through the presentations from the Thursday and Friday session. 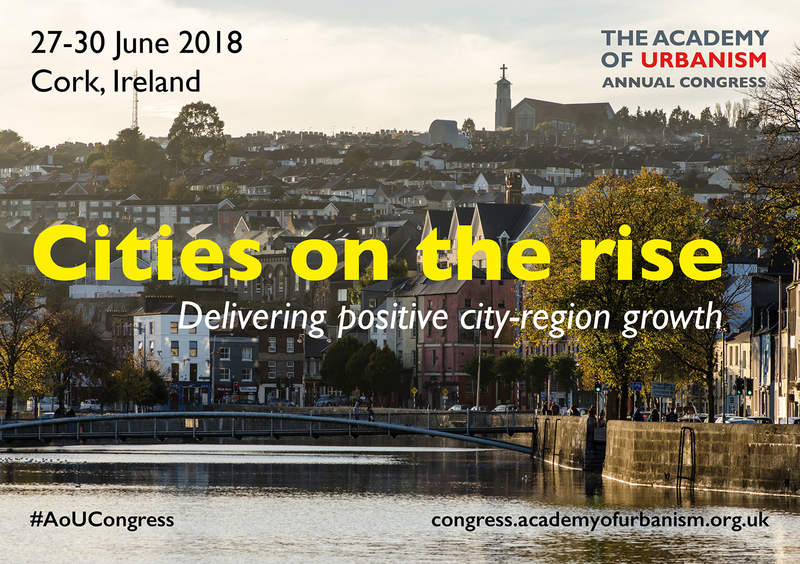 Read a specially commissioned briefing for LGiU Ireland covering the Academy’s Congress in Cork.